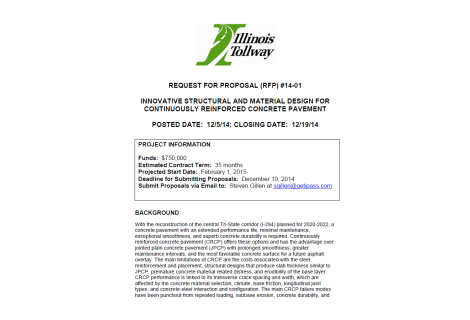 Continuously reinforced concrete pavements (CRCP) represent a relatively recent development in concrete pavement technology. Their widespread use in recent years has met with mixed success. 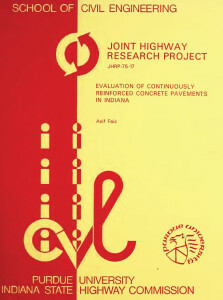 This study reports the findings of a detailed field investigation of in-service CRC pavements in Indiana. 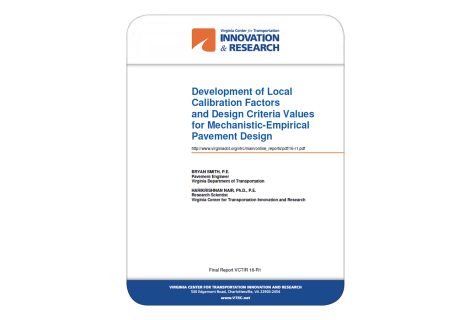 One of the objectives of this evaluation was to recommend design and construction guidelines that would help to improve CRCP performance. Detailed field testing and evaluation. The CRC pavement condition survey was conducted on a statewide basis wherein every CRCP construction contract in Indiana was included in the survey. A total of 89 survey sections, each 5000 ft. in length, were used. These were obtained by random sampling, stratified over the following factors: construction contract, method of paving, method of steel placement, method of steel fabrication (type of reinforcement), subbase type and subgrade parent material. 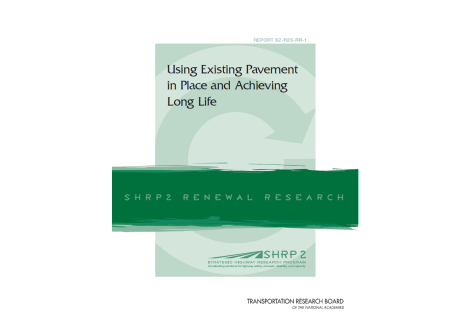 A statistical analysis of the condition survey data showed that subbase type, methods of steel placement and steel fabrication, concrete slump, and age of pavement since opened to traffic were significant contributors to pavement performance. Based on these results, a field investigation of CRC pavements was conducted. In this study, 31 test sections, each 1000 ft. in length, were used. As far as possible, each test section represented a unique combination of material, construction, traffic, and temperature variables. All the test sections were located on Interstate Highways in order to obtain a homogeneous set of test sections in terms of thickness (9-in.) and traffic intensity. 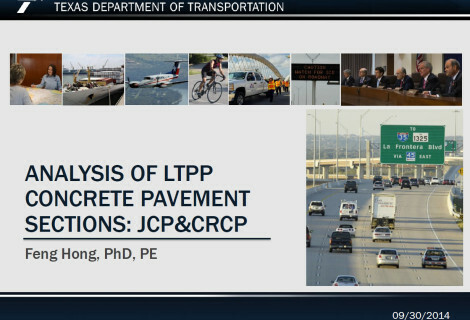 Detailed field evaluation including tests on all pavement layers and dynamic deflection measurements, was followed by a comprehensive laboratory testing program. The resulting data from these two phases were analyzed within the framework of statistical experimental designs. The results of the detailed field and laboratory studies showed that failures in CRCP are a function of a number of interacting variables. Generally higher pavement deflection, decreased pavement stiffness, wider crack widths, and erratic, non-uniform crack patterns were associated with failed pavement condition. 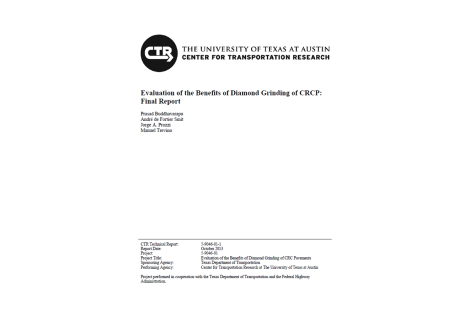 The support conditions under CRCP were of particular significance relative to performance. Well-compacted granular subbases with high stability and good permeability (internal drainage) showed excellent performance. Failures on CRCP were found to be correlated with concrete having a relatively low bulk density and modulus of elasticity. 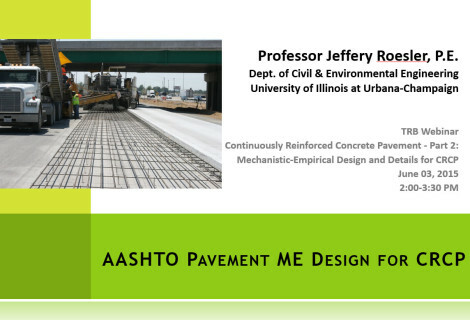 It was observed that paving concrete with a relatively higher slump (minimum of 1.5 in.) was more suited to CRCP with respect to good performance. 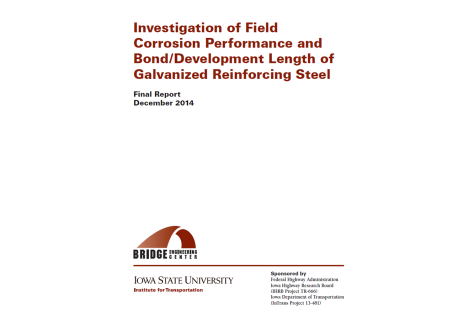 An analysis of CRCP design revealed that use of 0.6 percent steel was, at best, marginal. 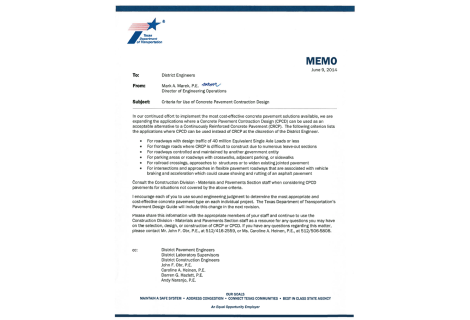 There were further indications that current CRCP thickness design may be inadequate to withstand the traffic loads imposed on Interstate Highways. 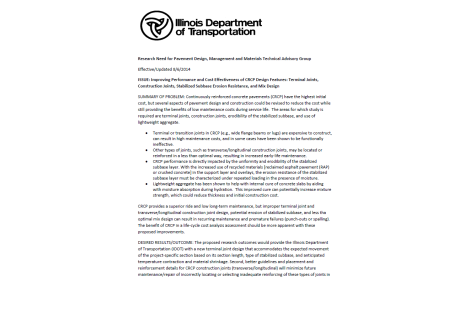 Finally, the report contains a set of construction and design guidelines that should help to improve the performance of CRCP in Indiana.